Rakeshkumar B Assistant Professor, Department of Anaesthesia, Mount Zion Medical college, Chayalode, Adoor, Kerala. Dr Sunitha Assistant Professor, Department of Anaesthesia, Mount Zion Medical college, Chayalode, Adoor, Kerala. Background: lumbar subarachnoid block is a technique which requires a small dose of heavy bupivacaine to provide rapid and reliable surgical anaesthesia. 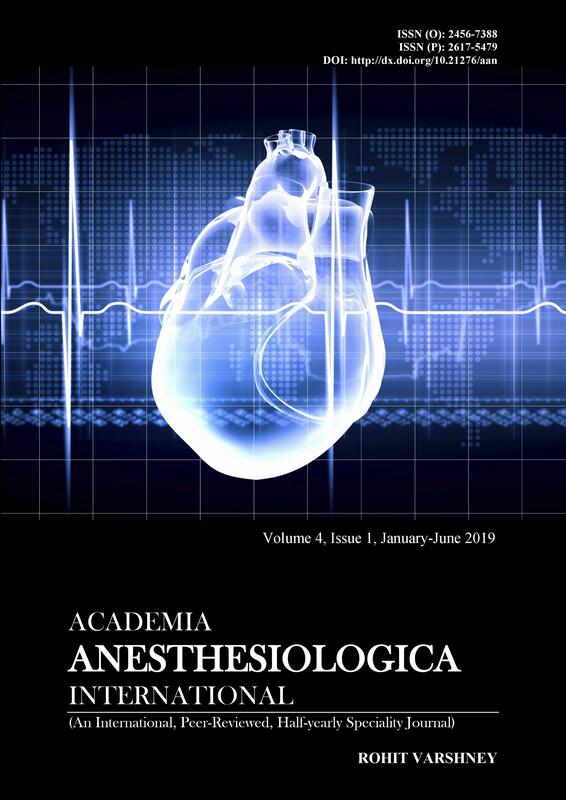 Duration of spinal anaesthesia may be prolonged by addition of opioids, clonidine, neostigmine, or vasoconstrictor agents to the local anesthetic drug for better post-op pain relief. This study is designed to investigate the effects of intravenous dexmedetomidine on the duration of sensory and motor blockade induced by intrathecal administration of bupivacaine, and its associated adverse events. Aims and Objectives: To assess the effect of Dexmedetomidine infusion on the duration of analgesia with spinal Bupivacaine for adult patients undergoing herniorrhaphy and to assess the incidence of intra operative side effects, if any. Subjects and Methods: This study was done under the department of Anaesthesiology, Govt. T. D. Medical College Hospital, Alappuzha, Kerala for a period of 8 months. A double blind prospective randomized control study was done.50 adults aged 20 to 60 years scheduled for herniorrhaphies were allocated into two study groups, named A and B using computer generated randomization. Results: The duration of analgesia compared and Post-operative pain was evaluated by Visual Analogue Scale. Duration of analgesia is the time taken from the administration of the drug to the time when the patient complains of pain of > 50 in Visual Analogue Scale. The duration of analgesia was longest in patients received intravenous dexmedetomidine along with spinal bupivacaine. Side effect like respiratory depression not observed in either group. Conclusion: In conclusion, intravenous infusion of dexmedetomidine added to subarachnoid block with bupivacaine offered prolonged analgesia in adult patients undergoing herniorrhaphies, without increasing the incidence of adverse effects.